I got lazy to take pictures as I was running out of sunlight (it took me so long to clean and decide which goes to where and tralala) so let me just share with you the final output of my efforts. 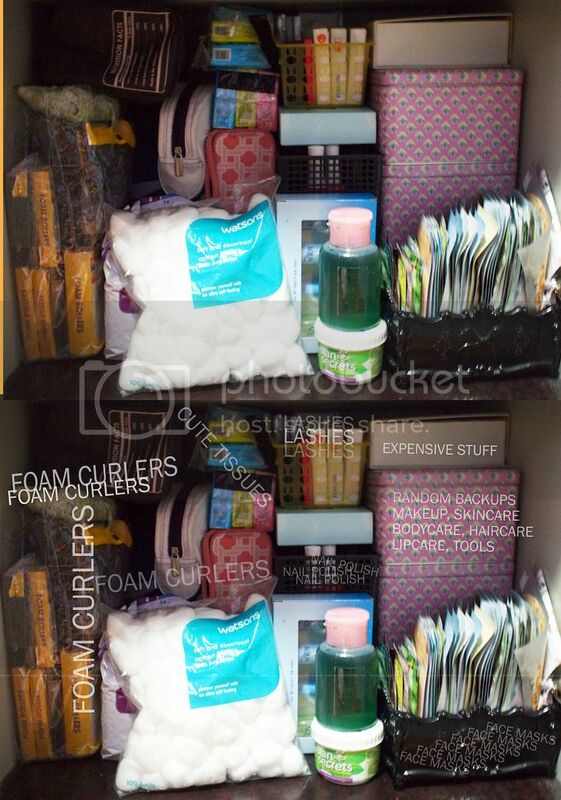 :) I have so much foam curlers... even if my hair's naturally curly already! I must have a curl addiction! I just bought a few nail polishes earlier so I'm playfully considering sharing with you my haul of colors. (nice play of words huh?) You can't see it through the photo above but I towered three stacks of organizing baskets to hold my nail polish collection. I also realized how few my face masks are... I know I still have a lot but you have no idea how many I usually keep within reach! I love face masks! I should probably shop for more! Spring cleaning was also a shock as I just discovered that I have a weakness over tissue paper! LOL I have so much tissue paper! I fall sucker for tissue paper bundles especially those huge wholesale packs because they normally come in cute packets! 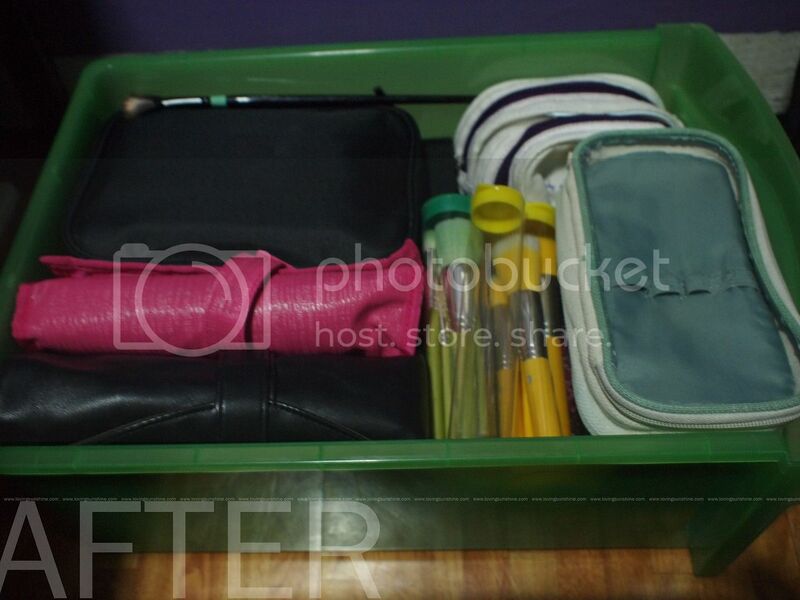 Before anything else, let me show you a before and after photo. Then you can scroll down to briefly view what I, you guessed it right, stacked. I store my brushes in this pull out drawer that I place under my bed. 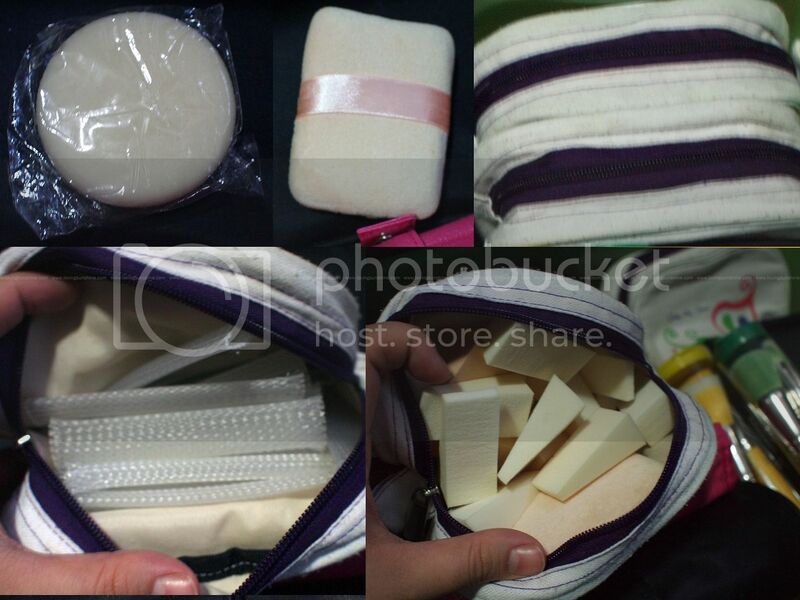 Inside it are little packets of silica and anti insect patch stuff because I believe that for a make up brush storage, one should make sure that molds and pests are kept away. Yey! Isn't it neat! Let's start from the top! 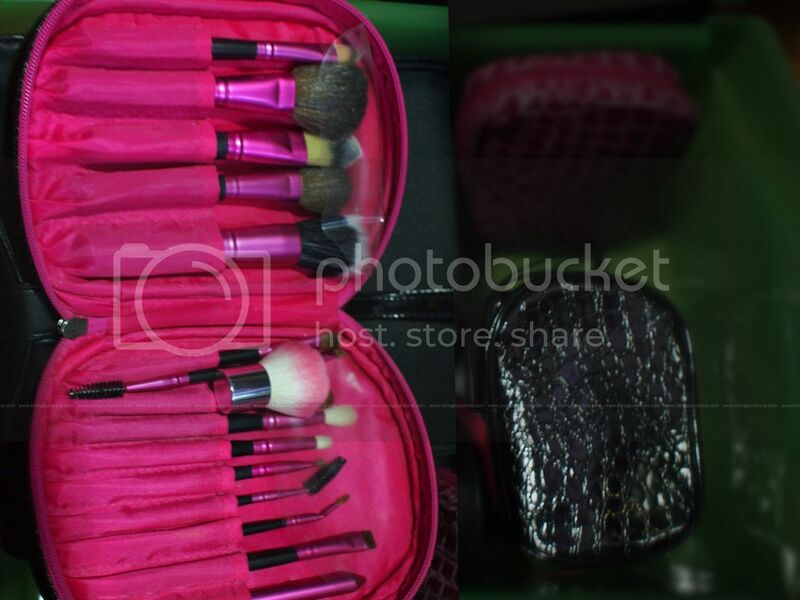 NOTE: As I'm hosting photos, I realized I failed to take a picture of one of my brush sets--the one in a pink leather pouch. If you want to view it, please visit this post instead, sorry. Sad news first. I recently (like super recently) was gifted with this Ecotools brush set which oh my goodness made me cry because I really wanted one and was so surprised to be, well, surprised with one! So of course I was such a neat freak, the littlest stain on the pouch prompted me to having it cleaned. SADLY, when it was returned to me, not only was the lip gloss stain not removed, it got stained more!! I don't find it any less attractive despite the mess though. This brush set has sentimental value. 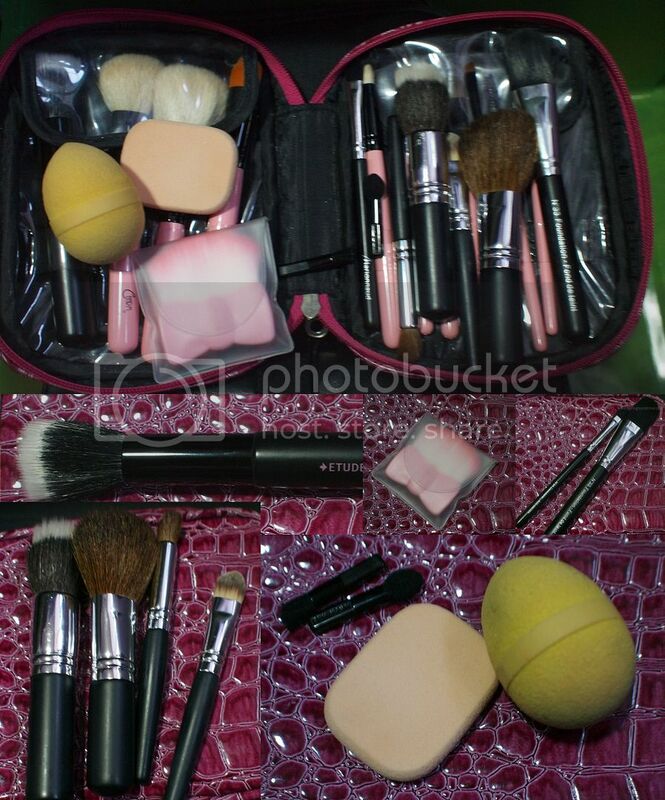 Beside Ecotools, I keep a pouch of clean make-up sponges. Frankly, I'm not a sponge person. I just use them when I'm feeling lazy. Recently, I read you can use make-up sponges for nail art? I gotta give that a try. I'll be posting pictures from top to bottom so don't be surprised if the drawer starts to empty itself out in the photos. :) Now I want you to check out my candy-colored brush sets. The Yellow one is of course the Yellow Bambu brushes I featured here. 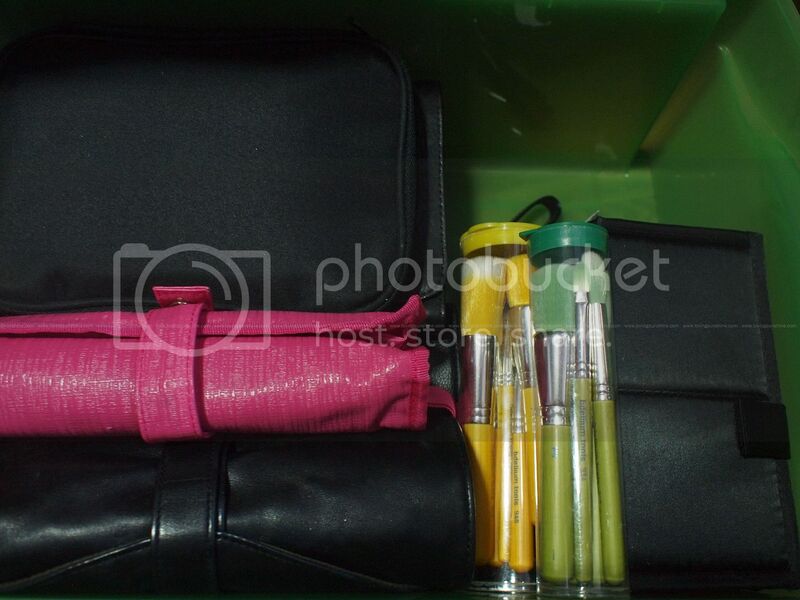 The green ones are the Green Bambu brushes I featured here; while the pink one's the Vegan brushes I featured here. So you got it right, those three wonderfully colored brushes are not just F-U-N in color, they are also all vegan! 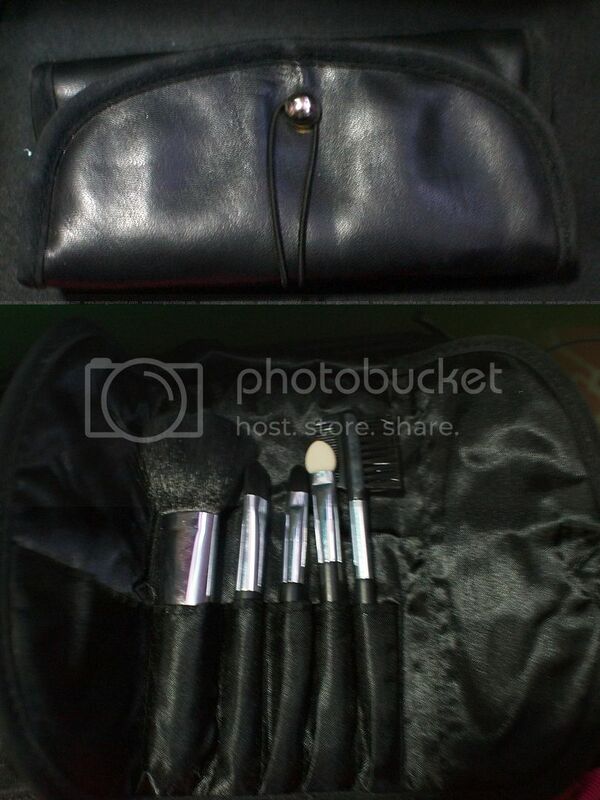 Speaking of cruelty-free brushes, I also have this ELF Bamboo brush set kept inside my ELF Studio Line brush set... and with it I keep random brushes from Tony Moly, Etude House and Ecotools (temporarily, while I had the Ecotools pouch washed, I kept the brushes here). And speaking of Charm brushes... let me share with you more of Charm's pink delicacy. 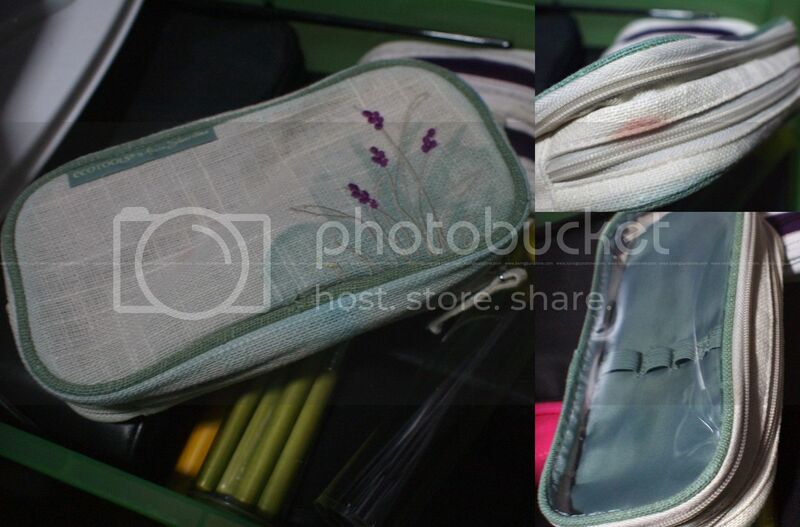 Just like how my ELF brush pouch served as home for other tools, my Charm Travel Pro v.1 also works hard as a home for my Etude House Fan Brush, Etude House Stippling Brush (the best Stippling brush in the world! 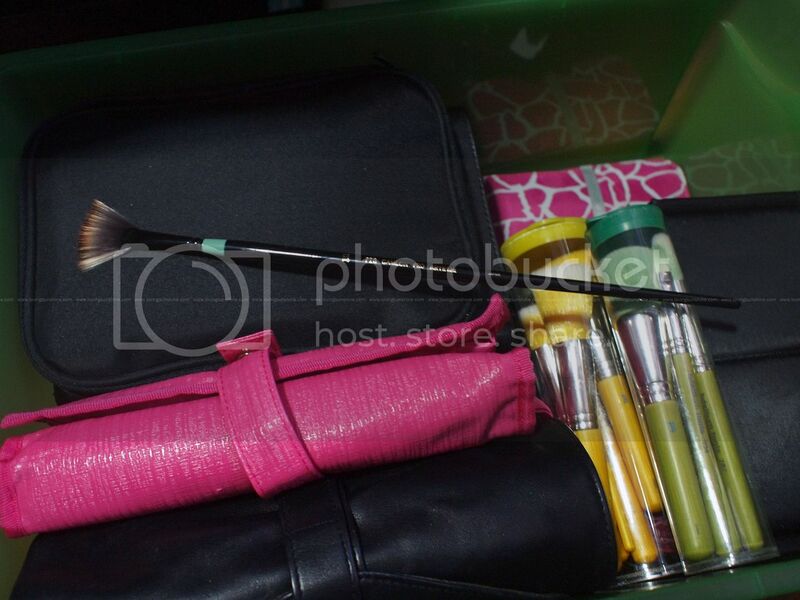 ), Studio Tools Travel Brush Set, Marionnaud travel brushes and Sephora Precision Sponge which I featured here. To those who are familiar with Charm Travel Pro v.1, yes I no longer have the Stippling Brush from the set because this tragic thing happened. It just bled and bled until the ferrule separated from the handle! The least ideal for traveling is definitely this luxurious traditional Japanese brush from Wawaza. And now I share with you my brush sets. I like buying sets because I'm a brush collector! :p Sadly, I have vowed and vowed to post a review of the Coastal Scents brushes that you see third from the top... but I still haven't posted one! Is it too late to share? Oh, also, the first brush roll isn't actually a set. It was one until I sold the brushes for a super good deal (since I was keeping the roll with me). It's my all-time favorite brush roll. It's from a local brand called Dollface. 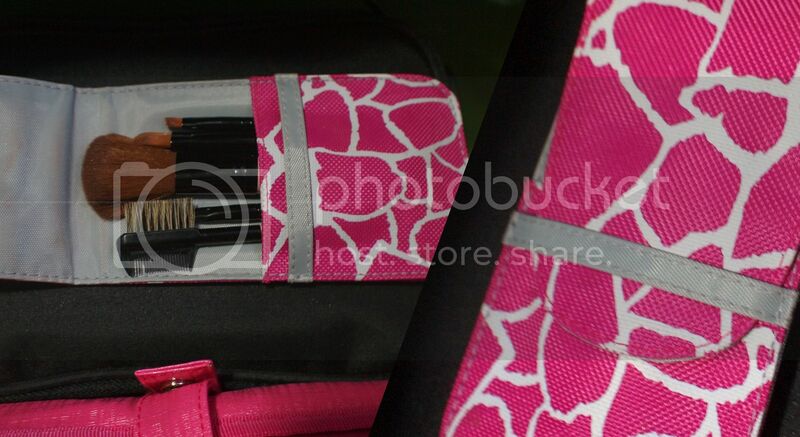 I think their brush roll was superb but the brushes that came with it were BLAH. 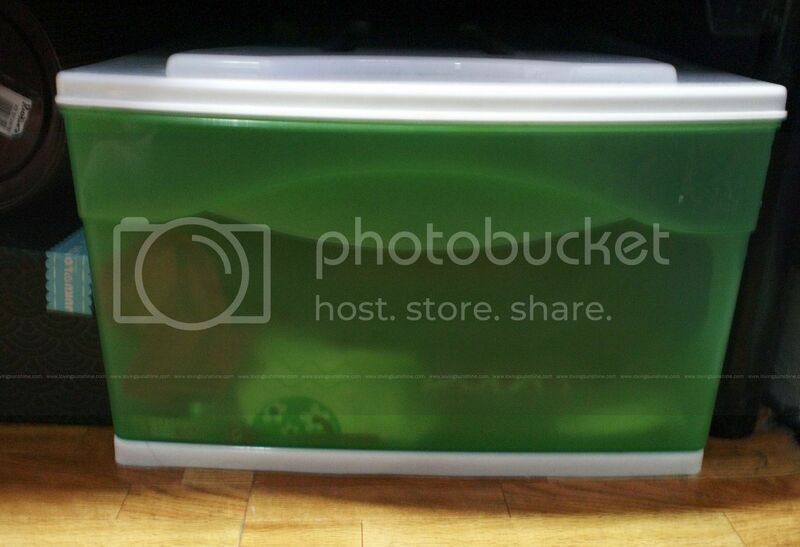 Now, the roll serves home to my pouchless brushes. Yehp, one reason why I like buying brushes by the set, I hate brushes that are left homeless!!! 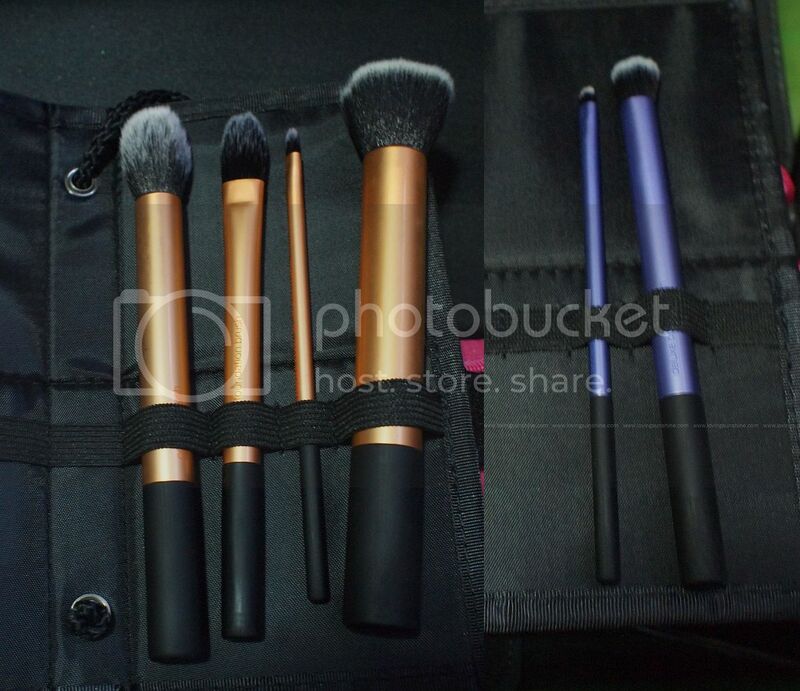 Let me also just share that the second set from the top is a Bdellium Tools Maestro 12-pc Antibacterial brush set BUT the contents are a bit of a random range of face brushes because I needed the thick pockets for my homeless face brushes. 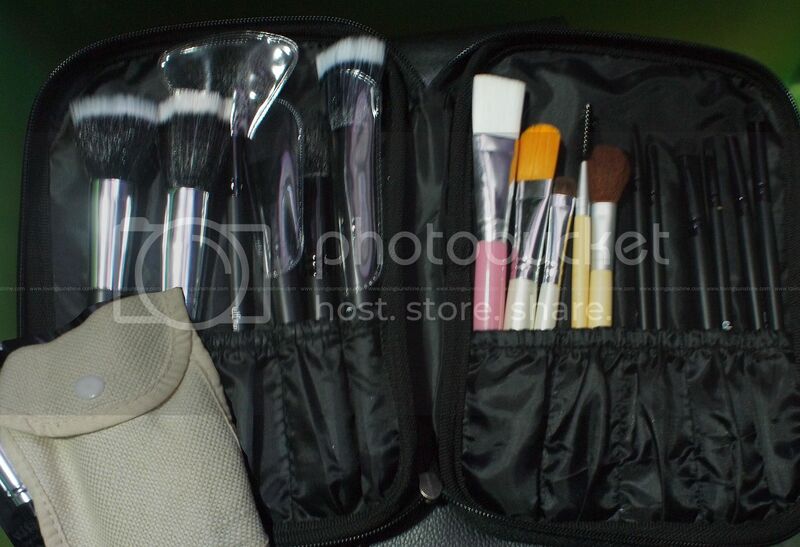 The eye brushes from the Maestro set is in the top pouch. So whew! That was a lot! Before I end this post, let me share with you the brush I'm lamenting over. It's a Kim Professional Powder Brush. Totally loved it earlier (read here) but after a lot more wash, I noticed that the velvety handle started to crack. It's so painful to look at now. :( Don't you just hate it when a product you love suddenly lets you down? Anyway, that's really it for now! Let me know what you think! Like this post if you think that was a lot! Still trying to grow it! Thank you! still need/want more! do you ever get to use all those brushes??? i dont have any so if you feel like being generous just message me! hahahaha!!!! Hope it works out well and post about it! Wow so many brushes! And here I am in desperate need for new ones. Oh sigh. 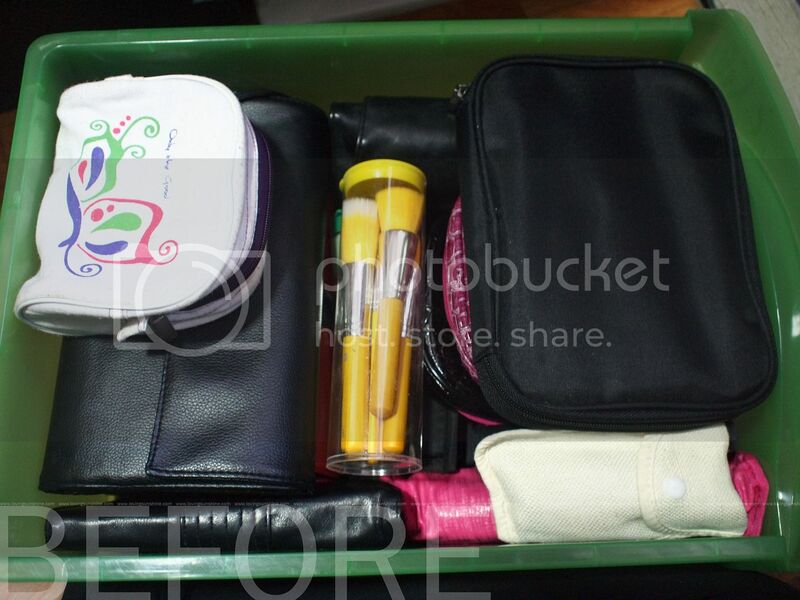 For most women, keeping an organized cosmetics and vanity storage can be very difficult. It is great that there are articles such as this that provide help regarding this matter. Thanks for sharing. The one from Etude House is the best. the small one, not their big stippling brush.